You’ve made it to Wednesday… Congratulations….. So here’s a little mid week boost to get you through to the week. We are totally loving culottes this season as they are a great way to hide many of your sins. They give the illusion of a small waist and then the wide leg finish means that nobody can see what is in between. 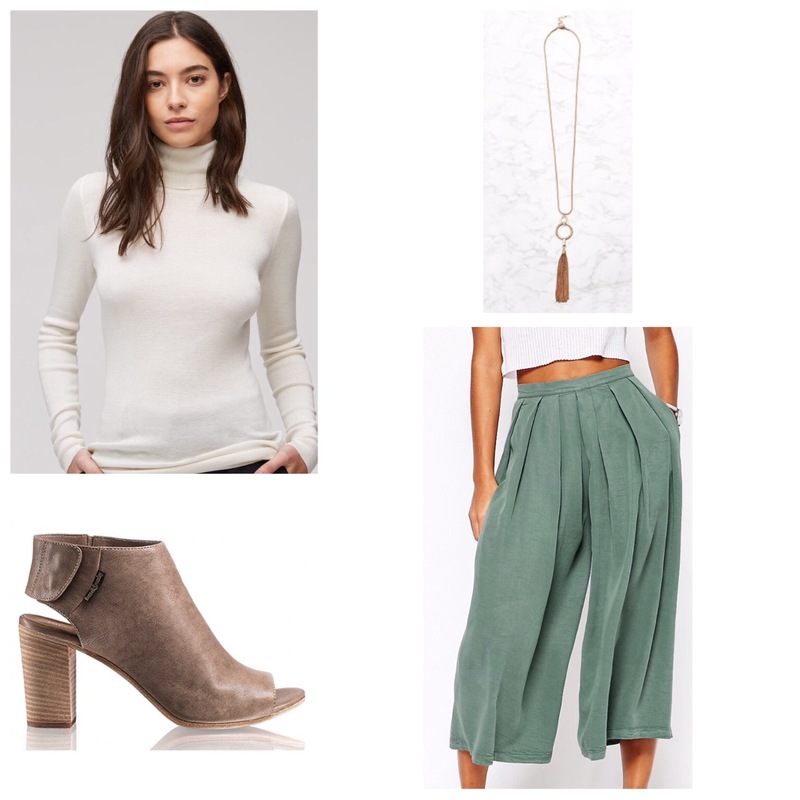 We have our hearts set on these fresh Khaki pleated drape culottes by ASOS (£38 – product code 821328) the perfect colour going into the spring season. So we have our culottes now to complete the look. We have paired them with a classic silk and cotton polo neck jumper by Jigsaw (£79 – item code 1017631) in ivory giving that fresh look but still keeping you warm. To finish we found these great block heel booties from Russell & Bromley (£165 – item code 236266) which are a nice transition from full winter boot and a simple long necklace from Next (£12.50 – item code 402-283).